Most machine learning algorithms assume stationary environments, require a large number of training examples in advance, and begin the learning from scratch. In contrast, humans learn in changing environments with sequential training examples and leverage prior knowledge in new situations. To deal with real-world problems in changing environments, the ability to make human-like quick responses must be developed in machines. Many researchers have presented learning systems that assume the presence of hidden context and concept drift. 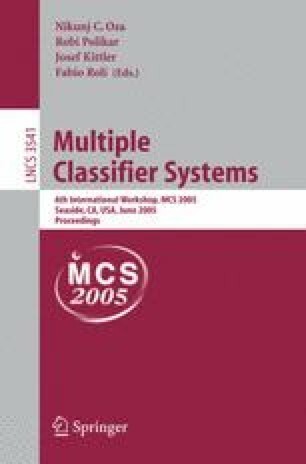 In particular, several systems have been proposed that use ensembles of classifiers on sequential chunks of training examples. These systems can respond to gradual changes in large-scale data streams but have problems responding to sudden changes and leveraging prior knowledge of recurring contexts. Moreover, these are not pure online learning systems. We propose an online learning system that uses an ensemble of classifiers suited to recent training examples. We use experiments to show that this system can leverage prior knowledge of recurring contexts and is robust against various noise levels and types of drift.